The weather here this week has been beautiful. It’s been sunny and warm, which is a real blessing this time of year as it can just as easily be cool and rainy. I’ve been glorying in it and getting some work done on my long-delayed garden plans. I’ve also been socializing and working otherwise, so that’s part of the reason there’s been no new post in the last week. I have more gardening, working and socializing happening today, so here are a few pictures of the Oregon coast to help tide you all over. I actually will be heading out to the first pictured spot later today with some friends. It’s a place that always calms and reinvigorates me. 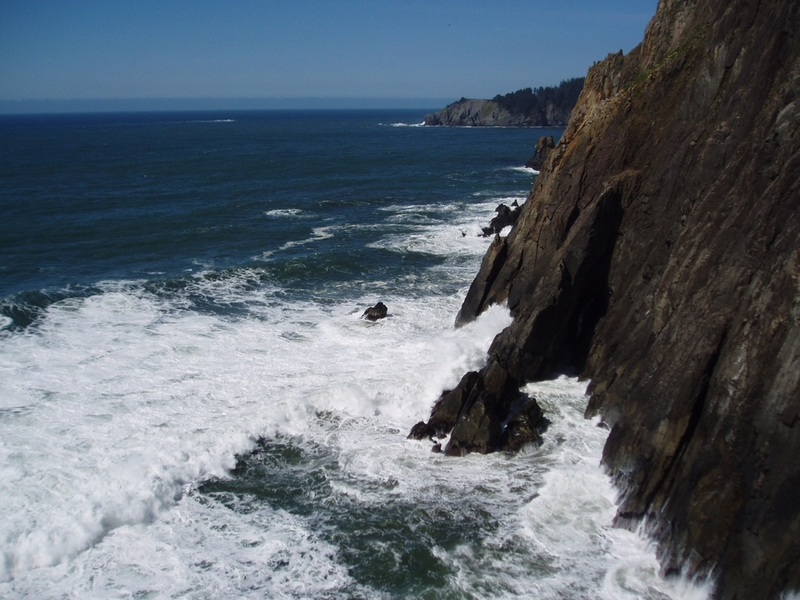 Waves crashing against the cliffs, along the Oregon coast. 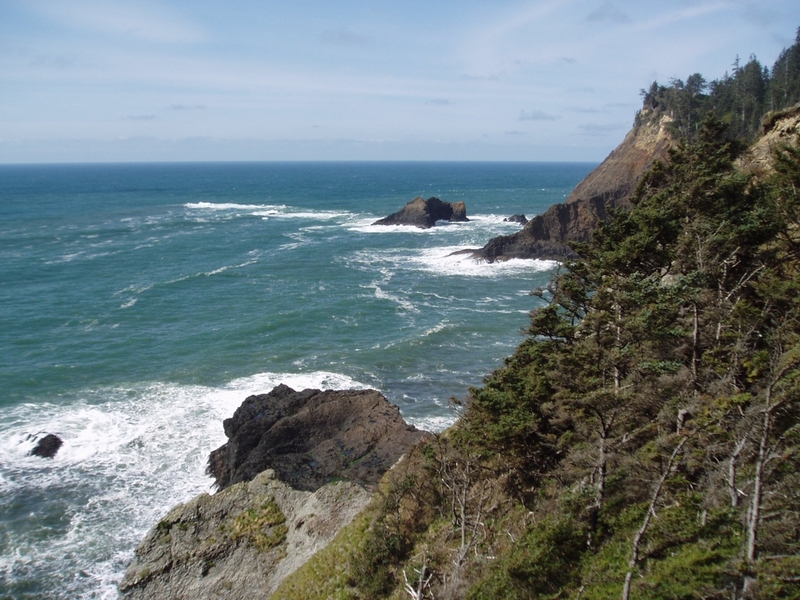 Looking north from Cape Falcon, on the Oregon coast.